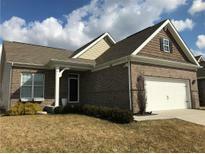 Below you can view all the homes for sale in the Waters Edge At Springmill subdivision located in Westfield Indiana. Listings in Waters Edge At Springmill are updated daily from data we receive from the Indianapolis multiple listing service. 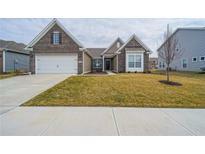 To learn more about any of these homes or to receive custom notifications when a new property is listed for sale in Waters Edge At Springmill, give us a call at 317-427-7201. From sur sound to Dual heating system this home has it all. Welcome home! ! MLS#21630509. The Real Estate Group. Upgrades: Maple square panel cabinets, cabinet over ref., staggered height wall cabinets, granite top in kitchen, cultured marble tops in baths, range smooth top, bar top on island,under cabinet lights, added recessed lights, electric start fireplace with gas logs, water softner, washable interior paint, laminate wood floors, wood window sills, blinds and drapes, raised vanity in master, tiled shower in master, frameless 3/8" shower door, custom shelving in closets and above washer and dryer, dry bar with wine cooler story't, 2 windows in story't, low-e glass windows, security system, flood lights front and rear,garage door opener w/keypad MLS#21626142. John J Schneider & Co, Inc.
You get the balance of all builder warranties, too! MLS#21623254. Berkshire Hathaway Home. 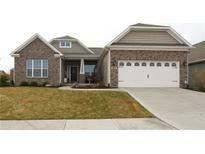 Start your new beginnings in this beautiful home! MLS#21612751. RE/MAX Ability Plus.